Home meet-up norcostco Exciting News! Atlanta Makeup Meetup! I've got some super exciting news! I'm finally hosting my very first meet-up. You all asked for it and I'm doing it! Not only that, but I'm co-hosting it at my favorite Atlanta Makeup Store - Norcostco. I can't wait for you to check out the exciting details! I've been wanting to do a meet-up for the longest time. Now that I'm done with grad school, it's my year! It was kismet when I attended the Norcostco Open House a few weeks ago. The manager Carla and I had the same idea and decided to create a monthly meet-up group. This is truly filling a need in the Atlanta Beauty Community. 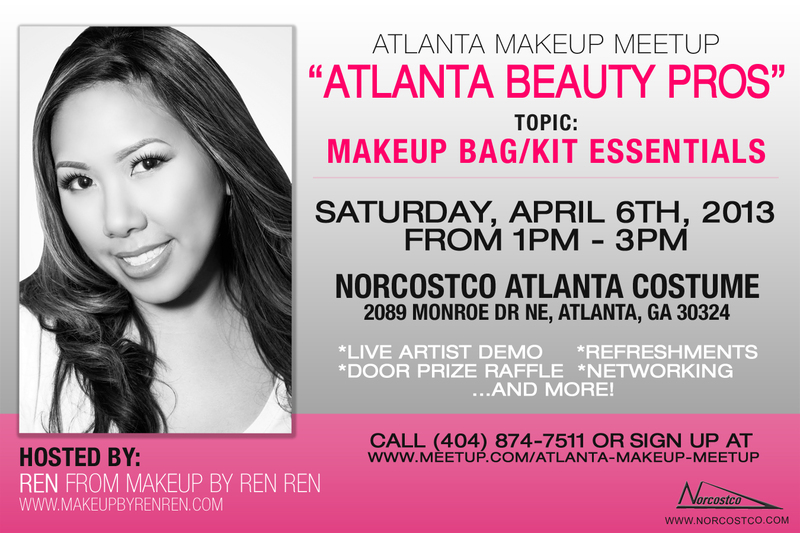 Not only am I hosting my first meet-up, but i've paired with Norcostco - an amazing resource for Makeup Artists to make this an official monthly meet-up! We'll meet in this awesome location, surrounded by tons and tons of makeup from your favorites brands. Sounds like fun to me! Networking - Bring your business cards! Win them in a raffle that we'll be doing that day! We'll do Q&A on any makeup questions you have about your kit, artistry, products for your skin type coloring, whatever you want to know! Bring your cameras and get ready for fun! I hope to see you there! Please let me know if you can make it in the comments below! I wish I still lived in the ATL...nothing cool happens in the D! Congratulations on scoring the Norcotsco partnership. I hope that all goes well and it that is is a springboard for even bigger and better things! Peace and Blessings pretty one.